The Wirral 100 Motor Club has its own Facebook pages with up to date information relating to the club and its racing. Through the season and beyond we use twitter to communicate with our riders and fans on our activities. And, with Oulton generally being popular with riders, with GP Originals and the FSRA Pre-Injection Sidecars as our guest classes, and with a number of BSB Motostar riders taking the opportunity of track-time ahead of their meeting the following weekend, it looks as though this could be a busy one. Hang on to your hats! We were delighted that 26 potential new riders or passengers took part in this course, and we look forward to welcoming many of them back with us soon. 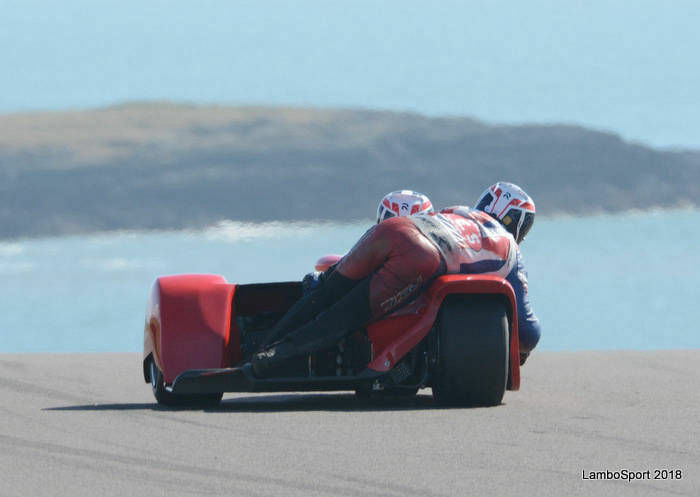 It was good to see that amongst their number were three teenagers, a sidecar driver, and two Morgan three-wheeler drivers. Thanks to Team Francis & Martin Crook and his techie-mates for looking after the classroom-based aspects, and to chief coach Paul Brandon and fellow coaches Rob Barber, Jim Barnett, and Jamie Harris, with the usual Control Tower bods, for overseeing things on-track. 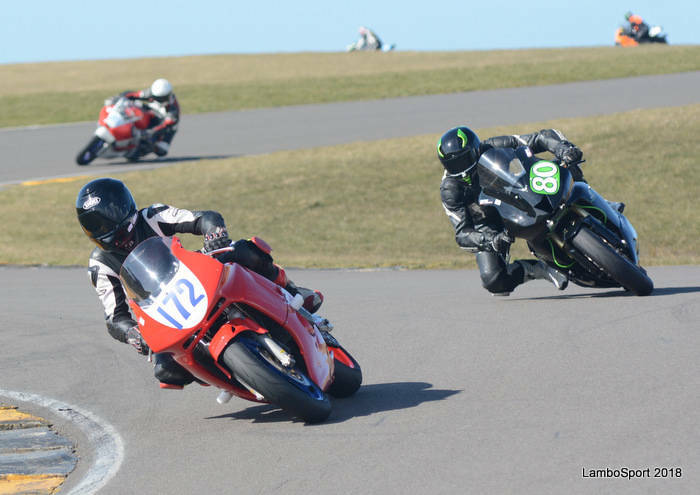 111 riders availed themselves of this gentle way to get back into the swing of things before racing re-commenced on Sunday. It was somewhat cool to say the least, but sense prevailed and there were very few incidents. Spare a thought, though, for Adrian Williams, whose Kawasaki had a gear-box seizure and the resulting fall on the approach to the Corkscrew resulted in a fractured collar-bone. Sad. A report on Sunday’s racing appears in the Reports section of this website. Apologies that this is later and briefer than usual but a house-move by the scribe in the week following this race meeting took priority! After a year’s rest, we are made a late decision to resurrect these Classic Bike Parades to run within our race meeting this weekend in June – on the Coastal Circuit on the Saturday and the International Circuit on the Sunday. Run under the ACU’s Regulations for Classic Parades (PR6), riders under 70 must hold an ACU Road Race or Parade Licence or a Class A DVLA motorcycle licence. 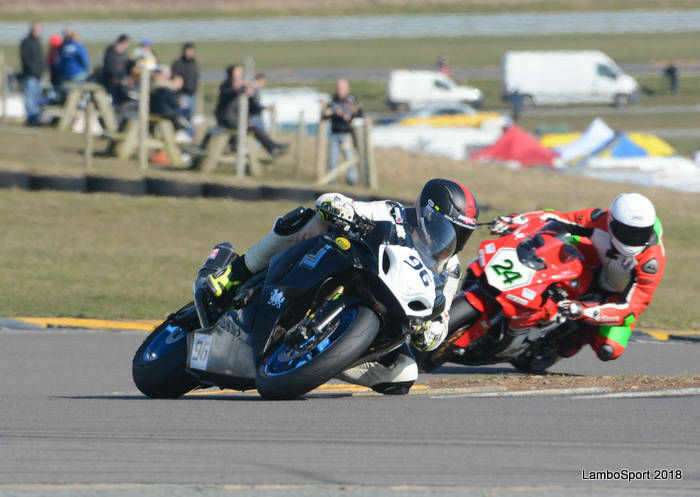 Riders over 70 must hold either an ACU Road Race or Parade Licence. The two-day cost of the Parades is £60 (£40 for one day). Once again our annual social gathering at the Mercure Abbots Well Hotel near Chester was full of cheer, good conversation and good food and drink. Virtually all of the 2018 top-three’s were there to collect their trophies from Conrad Harrison, and what a great chief guest he was – easy-going, with a Yorkshire gift of the gab and some interesting and amusing stories, not always directly connected with racing. Plans are already afoot for us to do the same, or something very similar, next year. Regulations & Entry Forms – these can all be downloaded from this website. 1. Powerbikes – machines over 700cc, with no tyre restrictions. 2. Pre-Electronics Powerbikes – machines over 700cc, produced in the period 1998 – 2008, with no electronic aids, such as engine maps, traction control, launch control or anti-lock brakes, and with standard cdi’s for ignition control. Quick shifters and Power Commanders (or similar) are allowed. No tyre restrictions. 5. 100 – 500cc Allcomers, with no tyre restrictions. 7. Golden Era Supersport – pre-2001 Supersport machines (600cc 4-cylinder & 750cc 2-cylinder), including later versions if the models remained basically unchanged. At Anglesey all solo riders will, as last year, be able to identify at least two classes to compete in, if they so wish. 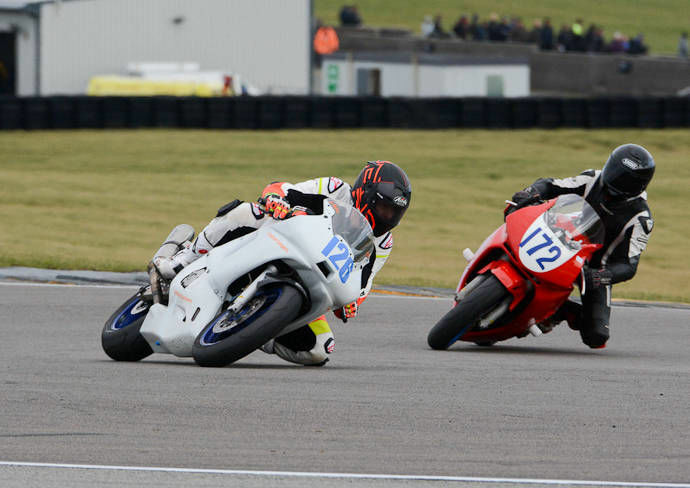 Again as last year, the Senior and Lightweight Open races will have one race per day, whilst all other classes will have two races per day. Support - We ask riders to continue to support us and to race with us whenever they can - and of course to encourage others to do likewise. Likewise we continue to rely heavily on the ongoing support of marshals and officials. Thank you. 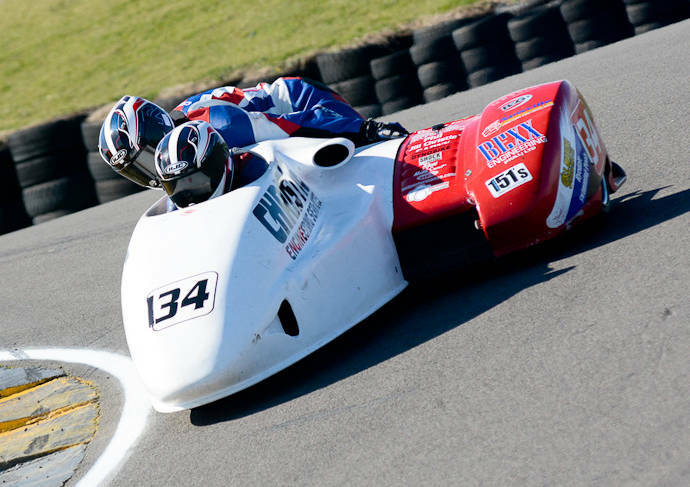 For the 13th year in succession we are again delighted to be hosting a round of the ACU/FSRA British Formula 2 Sidecar championships at Anglesey in August; also rounds of the increasingly popular FSRA Pre-injection Sidecar championships at Oulton Park in April and at Anglesey in October. For the first time, we will be hosting a round of the GP Originals series at Oulton Park. This series is a big boost for post-classic enthusiasts and is for 2-stroke GP machines manufactured in the 1970’s and early 1980’s. Full details of the series, eligibility and the technical regulations are available at www.gporiginals.co.uk. 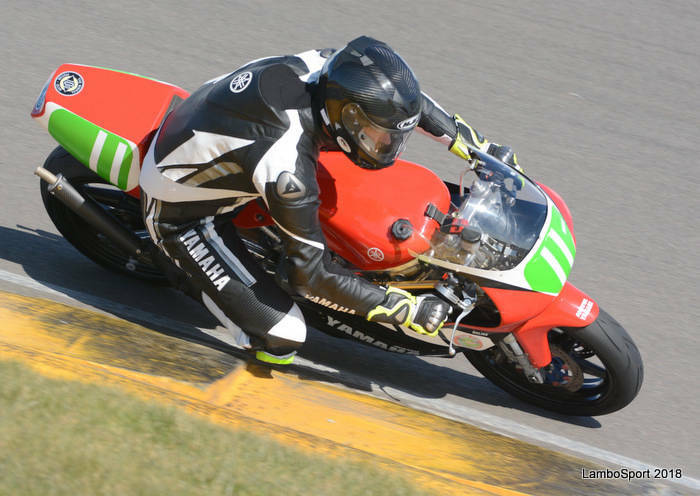 This race for single-cylinder classic bikes will again be run at the Oulton Park meeting in April. With the continuing support and encouragement of Bill Swallow and with no obvious date clashes this year, there is every prospect of a full grid. has for the past few years sponsored the awards for the Formula 600 class and the ‘Anglesey Grand’. As previously they will continue to provide the paddock tyre supply and fitting service at all of our meetings. 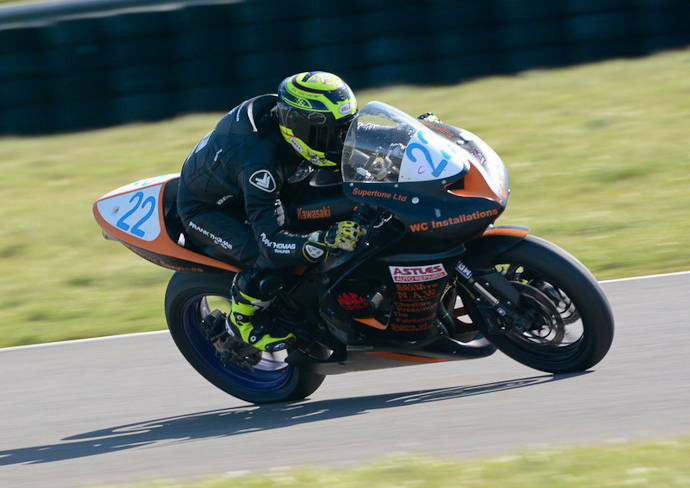 Paul Bland is based at Gaerwen on Anglesey and in addition to the provision and fitting of tyres provides a full range of motorcycle workshop and dyno services. Their website is www.paulblandmotorsport.com, telephone number 01248 422477. Please give them your support. 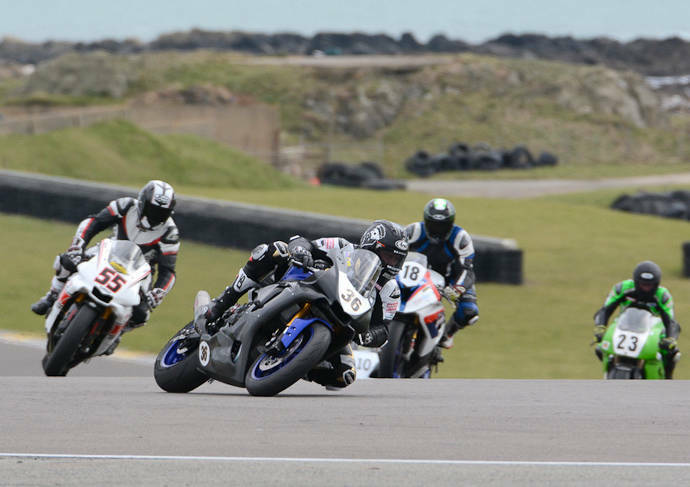 have come on board for 2019 as the trophy sponsors for the Powerbikes class. Now resident in the Isle of Man, Carl is a former W100 committee member, racer, and trials observer, and still contributing, alongside his Manx and Irish connections, to the well-being of the Club. We thank him sincerely. Sponsorship opportunities We will of course be delighted to hear from other organisations interested in supporting any of our championship classes as trophy sponsors – just £60 per event (£300 for the season) and the championship title is yours. Racing cannot take place unless we have sufficient marshals and officials, and we are always keen to recruit newcomers, male or female, experienced or not experienced. You may already attend our race meetings and wish to get more involved. Don’t be shy, step forward - you will be made to feel very welcome and, if marshalling is your aim, you will be properly trained in the various safety aspects. Anyone interested in joining the team should contact Dave Edwards, the Club’s Chairman and Chief Marshal (contact details below), or any officer or committee member. Thank you. Having regard to the General Data Protection Regulations, the Club has published a Privacy Notice for Riders, Officials, Marshals and Other Members. This Notice appears in the Downloads section of this website.